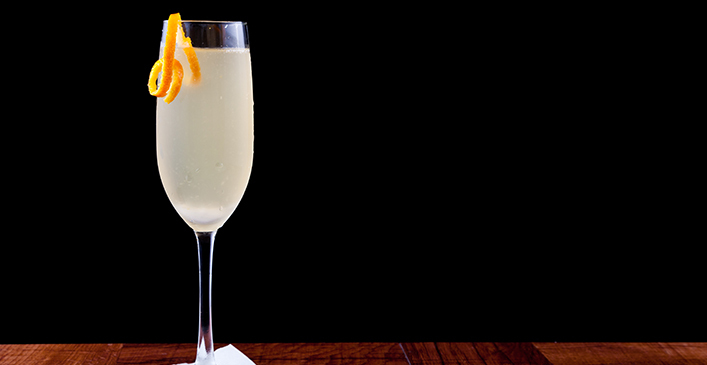 This champagne cocktail and clever name will add sparkle to any occasion. Pour the vodka and elderflower cordial into a cocktail shaker with ice. Shake the ingredients and then strain the mixture into a champagne flute with ice. Fill the flute with champagne.